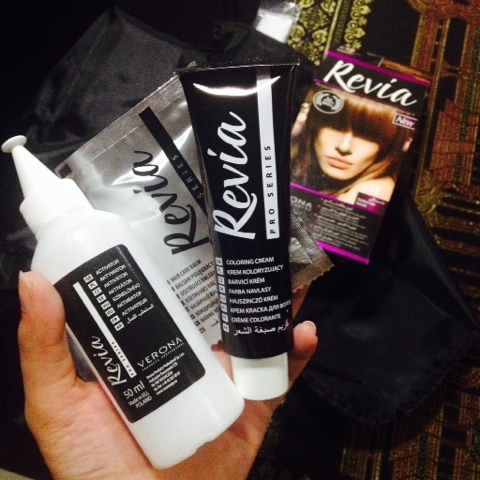 Revia Hair Color by Verona* | Vanity and Everything in Between. One pack contains an activator, colouring cream, and hair conditioner. My mom was a bit surpassed when she saw that it's a colouring cream cos it's uncommon. 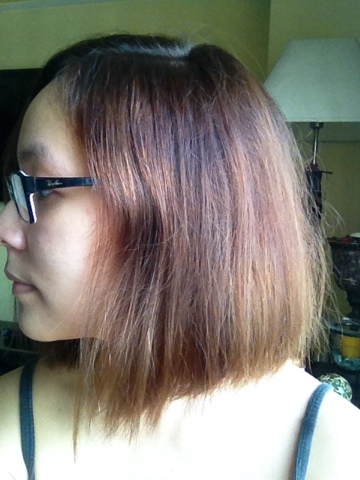 Okay, so here's my hair situation. 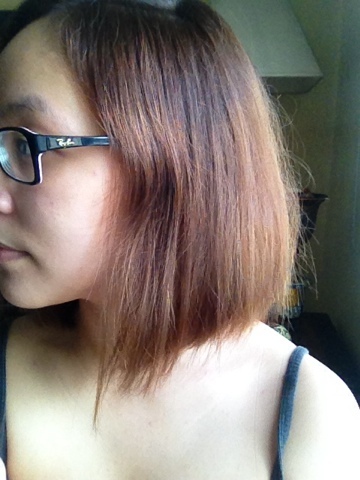 3inches [or more] of hair growth. 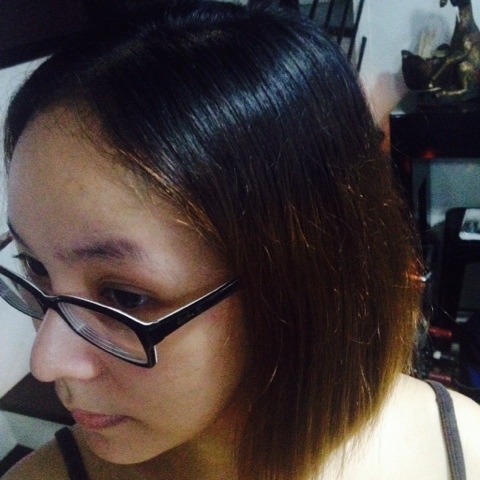 It grew that long cos I couldn't decide it I wanted to go lighter or go darker. Here's another shot. Yuh, it's panget na. Instruction is very easy. You just pour the colouring cream inside the bottle of the activator then shake it. We did it a bit differently though as my mom has a mixing bowl for hair colouring creams. 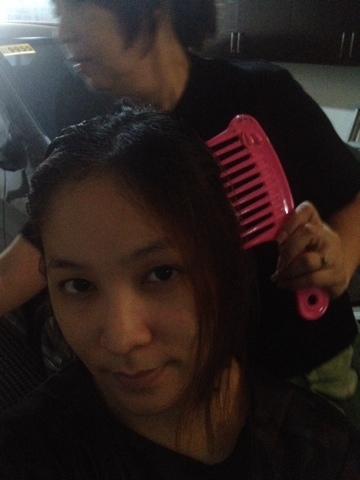 Here's my mom dyeing my hair. The shade I used is Hazelnut. According to my mom, the hair dye is quite sticky than a usual hair dye. 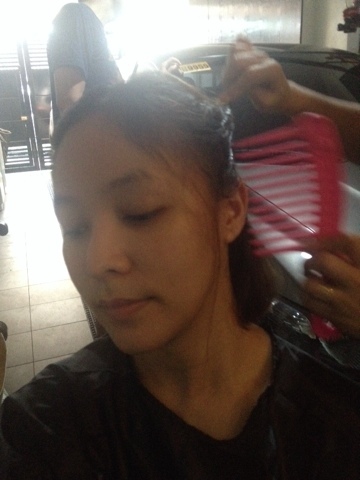 There isn't enough activator too resulting to insufficient supply of hair dye. I thought one pack was enough for my short hair. But then two packs would be too much for my hair. 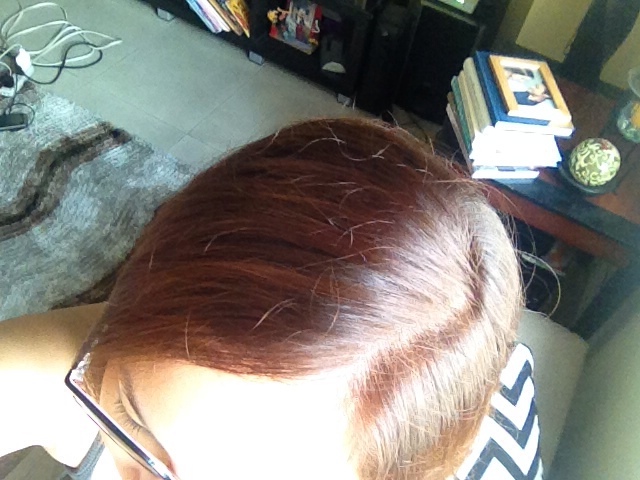 I'm happy though that it was able to cover up my roots. 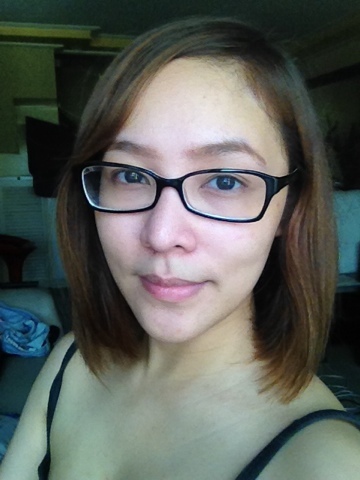 But I need to dye my hair again to get an even shade. 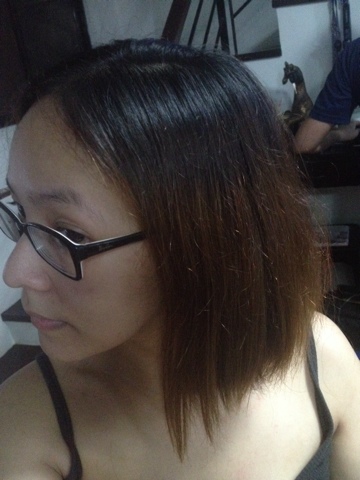 If you'll take a look at the fifth photo after dyeing my hair, you can still see a bit through of the dark brown strands of my hair. 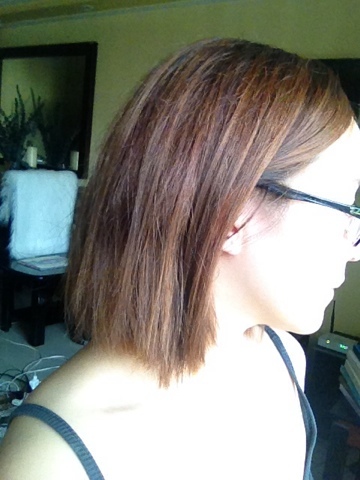 Apart from the fact that a pack doesn't have enough product for short hair, I really like my hair colour because it's so rich in colour. 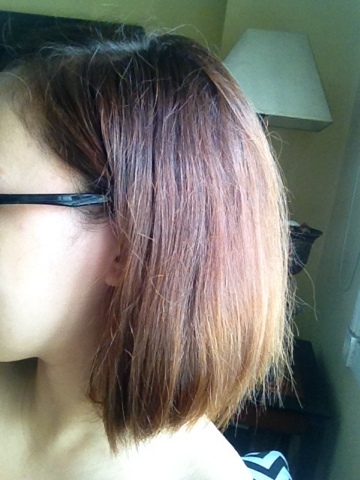 I can't remember other brands of hair colour having this effect on my hair. No kidding. I'd know because my mom and I always dye our hair! 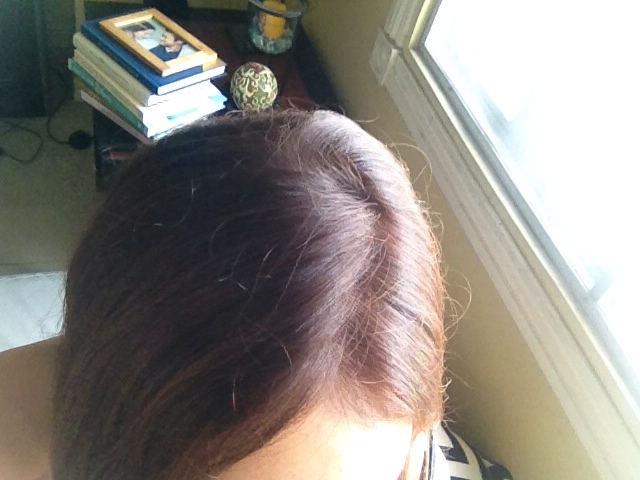 In sunlight, my hair looks brownish red. 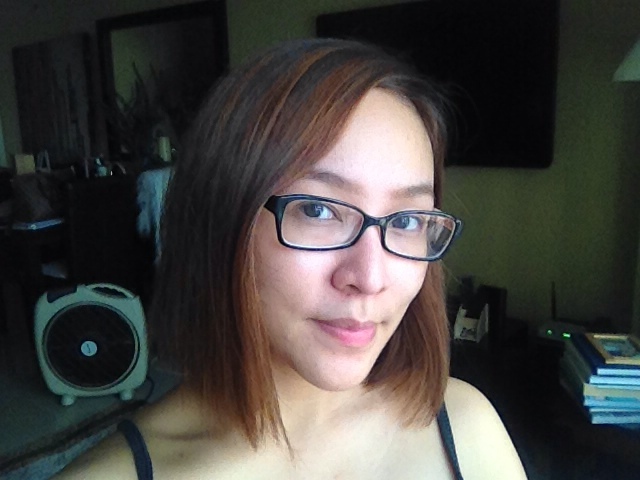 Will post a photo once I've dyed my hair again with the same shade! 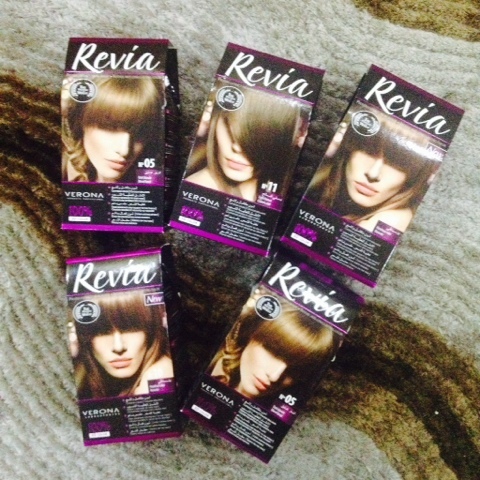 Revia Hair Color has 15 shades to choose from and retails for PhP285 per box. It is available at Watson's nationwide.